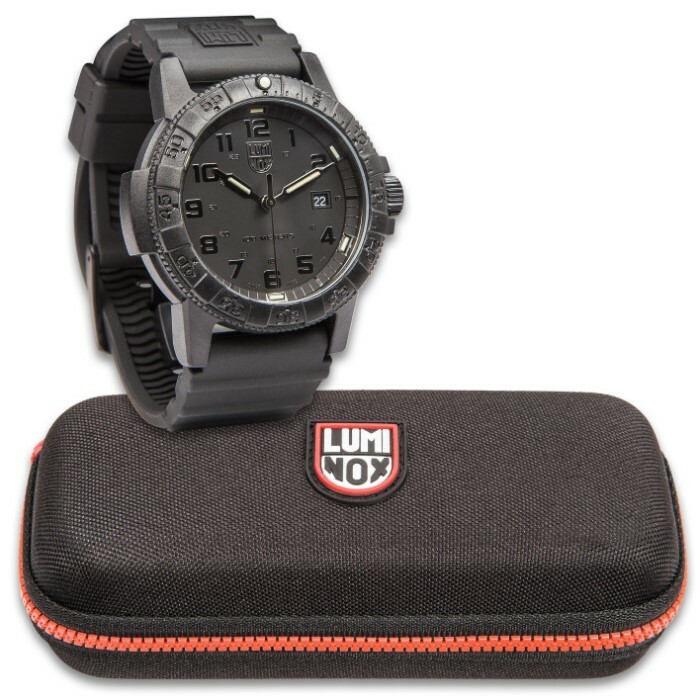 Luminox Sea Turtle Navy Seal Black Watch - Carbon Compound Case, Rubber Strap, Water-Resistant, Swiss Quartz Movement | BUDK.com - Knives & Swords At The Lowest Prices! 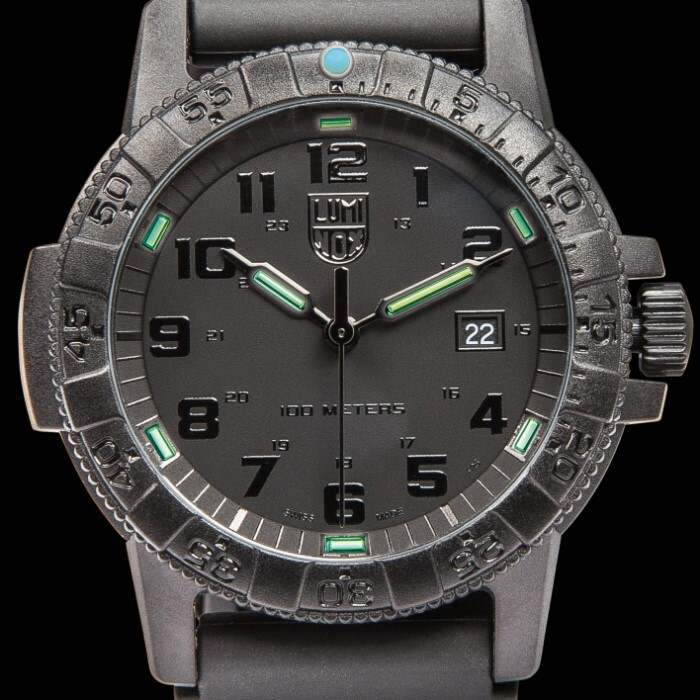 Luminox, known for its pioneering use of self-powered illumination technology, presents its Swiss quartz movement Sea Turtle Navy Seal Black Watch. 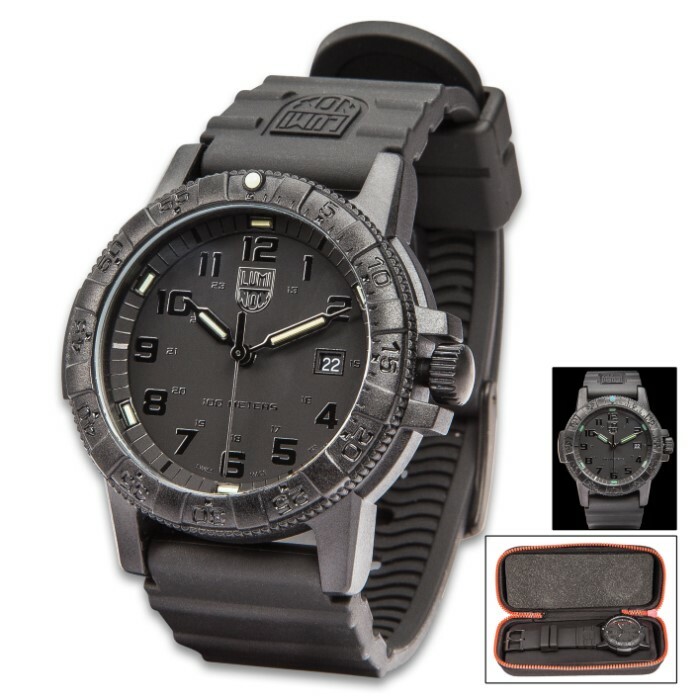 Perfect for Navy Seals, this black undercover mission watch is water-resistant up to 10 ATM/100 meters/330 feet. The watch’s case, screw-in case back and unidirectional, rotating bezel are all crafted of a black carbon compound and it has a tempered, scratch-resistant mineral crystal. The black dial has black hands with night vision tubes and black Arabic numerals with a Super-LumiNova dot at the 12:00 position. 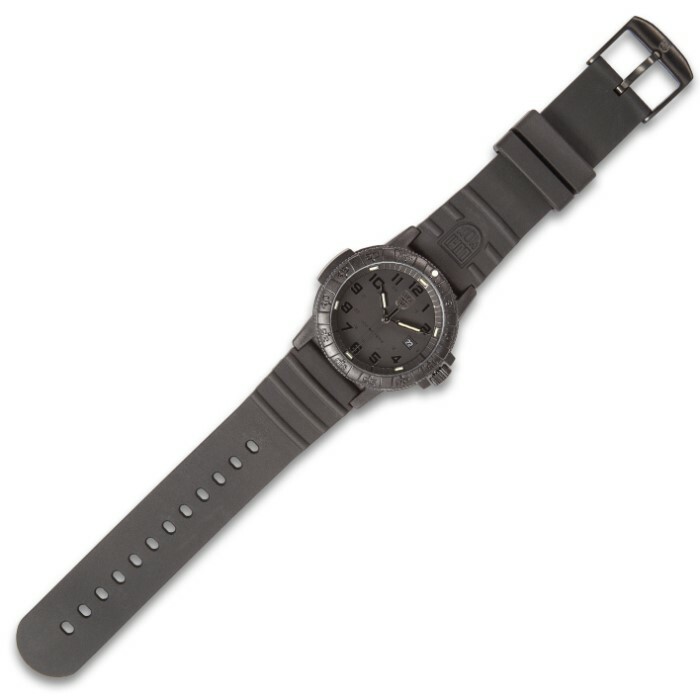 The strap is made of tough black rubber and has a pin buckle. When you need a watch that you can count on to get you through those missions at sea, the Luminox Sea Turtle Navy Seal is the watch you need!